Blue aluminum handle, good color. Pink and white nylon hair, obtain double beautiful color. 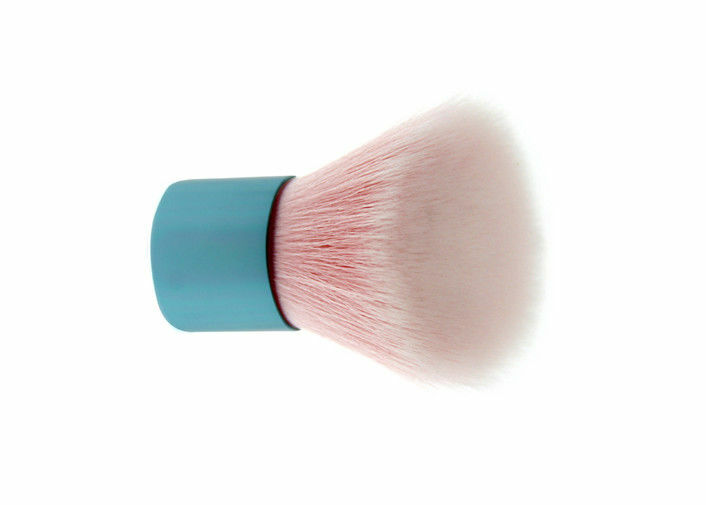 Angular shape pink nylon hair powder brush for kabuki makeup. With superior-quality,kabuki makeup brush will not irritate your skin. B: 1.clean your brush once a week.